It's that time again. You've got a serious shortage of money and an even shorter stash of ideas, which is a problem we can partly solve. No, we're not gonna send you a gift basket full of cash (the best kind of gift basket, if you were wondering), but we do have a bunch of gift suggestions that should help fill the void, whether you're buying for a loved one or just yourself. Merry Christmas, you filthy, disgusting animals. Huckberry - or 'the reason why I'm in debt' - is a San Francisco-based store/magazine that we love dearly. It features everything from clothing and footwear to watches and pizza ovens, all from the coolest brands around. So really, this isn't about any specific product, but more a spotlight on the brand itself. However, they did send over a bunch of products for us to check out, which we're gonna quickly run through for you. We've got the Bellroy Slim Backpack, which is understated yet stylish. It's also made from sustainably produced nylon and environmentally-certified leathers, which gets two thumbs up from us. Next is the Down Puffy Blanket by Rumpl, which happens to be the most comfortable and warm blankets we've ever tested. Replace your terrible sleeping bag by buying this right now. 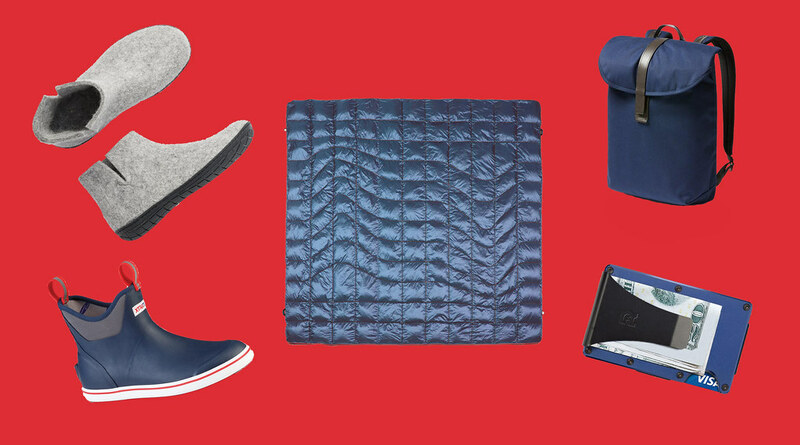 The Deck Boot by XTRATUF should be considered the most stylish lower-profile wellies you can buy. The beauty of these boots is that whether you're heading out for a trek, or just heading into town, they look good and do the job. We're in love. Talking of boots, how about the Camp Sole by Glerups? These flexible, lightweight slip-on boots/shoes/slippers are so damn comfortable (that'll be the 100% natural wool). They also look stunning. Thoroughly recommended. And lastly, we have the Navy Seal Aluminum Wallet by Ridge Wallet. It's incredible. Seriously. It's tough as hell, it can hold up to 12 cards in its expandable track, it can block RFID-skimming devices, and it looks so damn cool. You're gonna love it. All of these items are available for purchase by heading here. pinqponq are a Cologne-based company with a shop filled to the brim with beautiful bags. 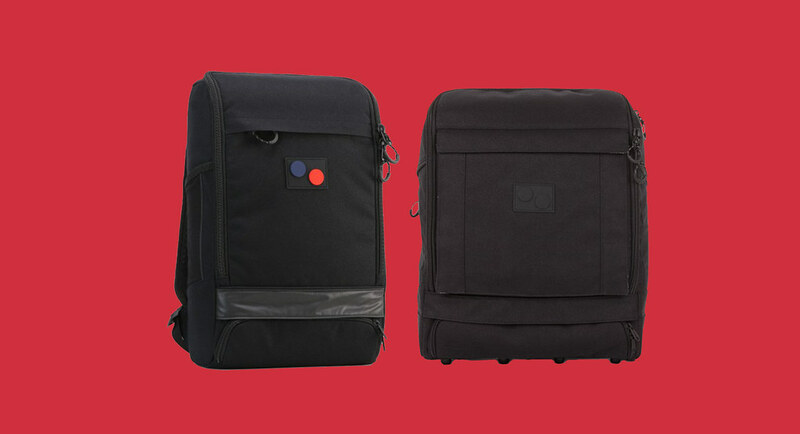 When the Cubik Medium and the DJ Cubik turned up, we were immediately taken aback by just how different they felt and looked from most backpacks. The Cubik Medium has a boxy feel to it, which somehow works really well. It feels futuristic. The same can be said for the DJ Cubik, which was unsurprisingly designed with DJs in mind (it'll fit your records quite comfortably). Outside of the functionality and design, the thing that we like about pinqponq the most is their ethical approach to production. From the working conditions of their factory in Vietnam to using fabrics with a recycled PET bottle content of 100%, the fact that this company has its eyes on important issues such as sustainability and quality of life makes them winners in our eyes. Much like our recommendation above, it's hard to suggest any specific item. Just go grab them all. pinqponq products are available for purchase by heading here. We're gonna go ahead and say it: the Nintendo Switch is the best console we've ever experienced. Sure, it's not gonna compete with the XB1 or PS4 in terms of graphics, but the portability mixed with killer original titles (as well as third-party support), makes this the ultimate console. It'll make you fall in love with gaming again, or at least make you appreciate it more. And it's only going to get better. Easy choice for 'Gadget of the Year'. 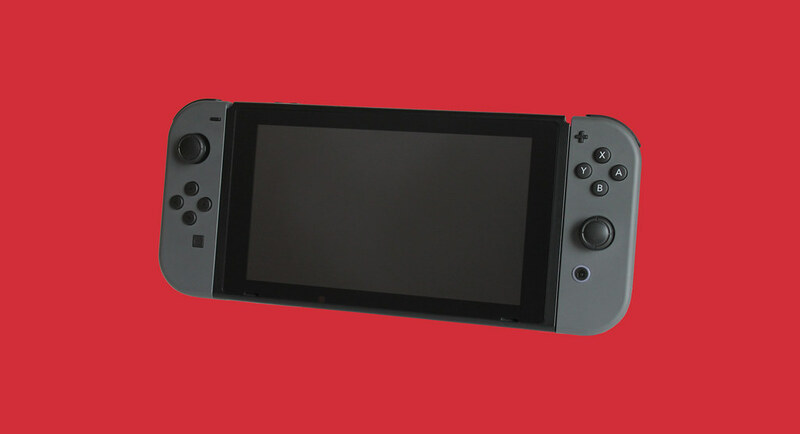 The Nintendo Switch is available for purchase by heading here. Ok, so this is probably the most expensive bag we've featured in this guide, and probably one of the most expensive items in all of the categories, yet it's totally worth the price tag. 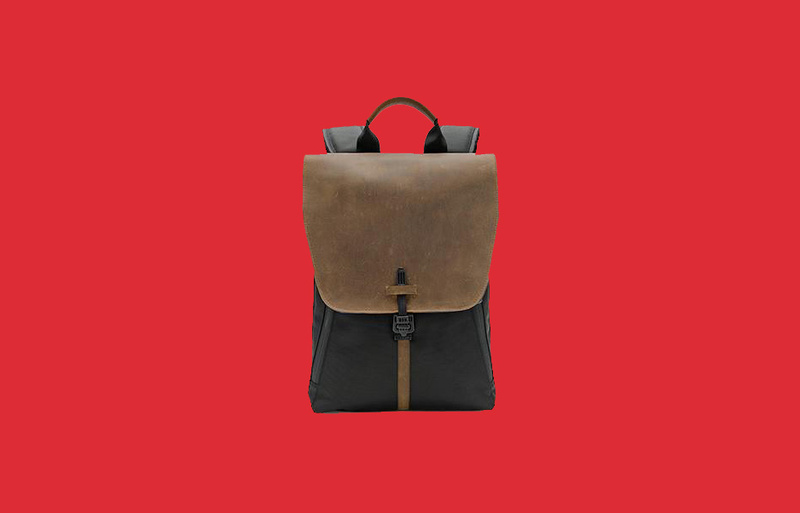 Consider the Lewis Classic Leather Backpack by Korchmar an investment. Also consider it a beautiful piece of art too. It's easily on par with some of the backpacks that Coach make, yet way less expensive, which is unbelievable really. Is this the most beautiful all-purpose bag we've tested this year? Absolutely. Nothing comes close. The Lewis Classic Leather Backpack is available for purchase by heading here. One of our favourite writers around also manages to be the best person on Twitter (seriously, go follow him). 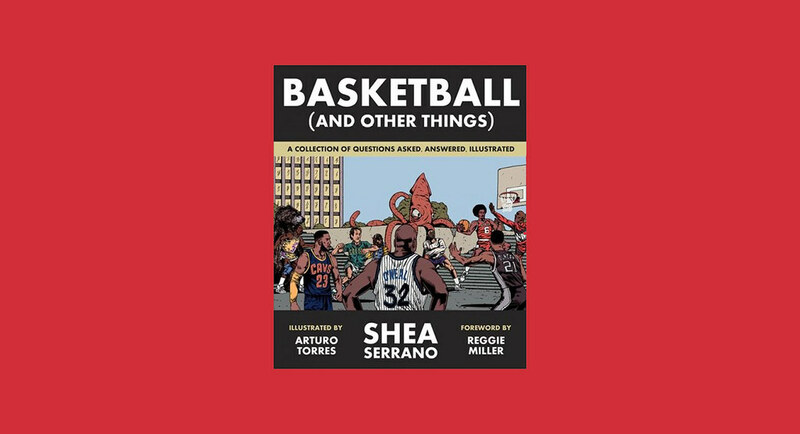 Basketball And Other Things is the follow-up to the classic Rap Year Book, and is a must-read, whether you like basektball or not. With stunning art by Arturo Torres, we feel confident in calling this the 'Book of the Year'. Basketball And Other Things is available for purchase by heading here. The Staad Laptop Backpack from WaterField Designs is the best bag we've ever tested. We were lucky enough to be sent the Stout version, which is the biggest model (there's a slimmer model called 'Slim'). It's comfortable, it looks beautiful, and despite it not being able to carry as much as the other bags in this guide, it feels like it was perfectly designed for people looking to carry a laptop and a few essential items (though we were pretty surprised by how much we could fit in it). The key part for us is just how great the laptop compartment is, which seems like a minor point, but it makes the difference here. What a great bag. 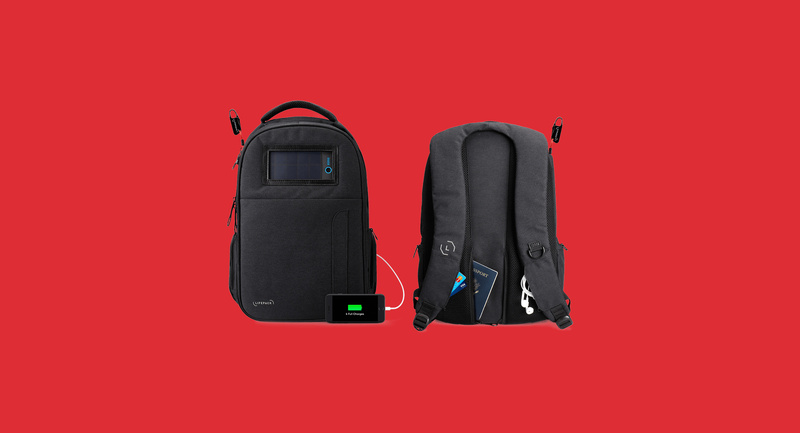 The Staad Laptop Backpack is available for purchase by heading here. 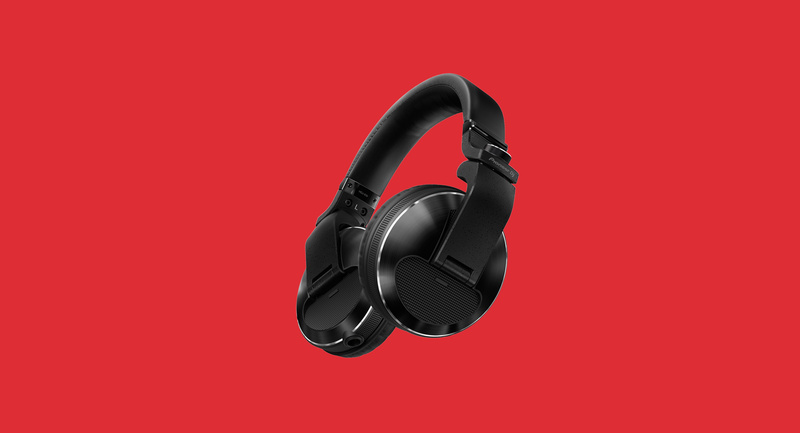 While these headphones were designed with input from professional DJs to create "the world’s first DJ headphones1 to produce high-resolution sound ranging from 5 Hz to 40 kHz," the Pioneer HDJ X10 headphones are more than just that. 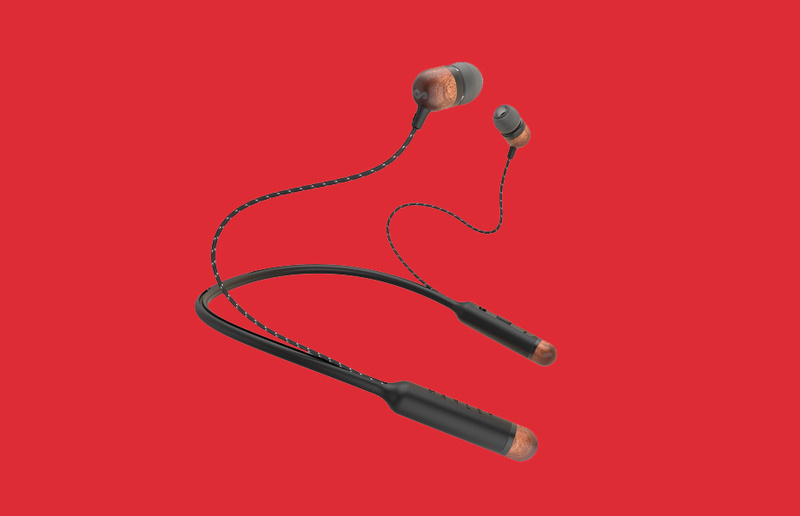 They're comfortable to use, they feel super solid, and the range of sound is perfect. Everything sounds pristine through these cans, whether you're playing early '90s R&B at your monthly club night or just chilling at home. The Pioneer HDJ X10 Headphones are available for purchase by heading here. The latest bag from Riut is the fantastic RiutBag X25. What we have here is a 15" laptop backpack that expands from 10 litres to 25 litres, all with just a few adjustments. 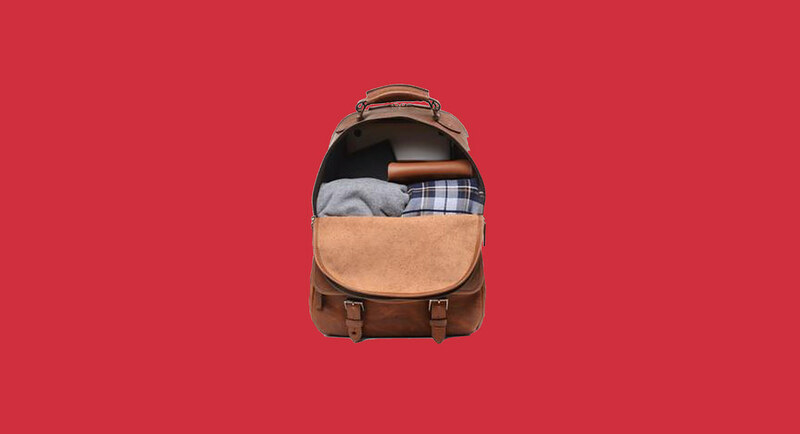 On top of that, you get all the security we've come to expect from Riut - the opening sits on your back, meaning it would be pretty difficult for criminals to pinch stuff out of your bag without you knowing about it. As people that frequently travel, security is always in the back of our minds. This bag puts us at ease. This is by far the best bag Riut have created. 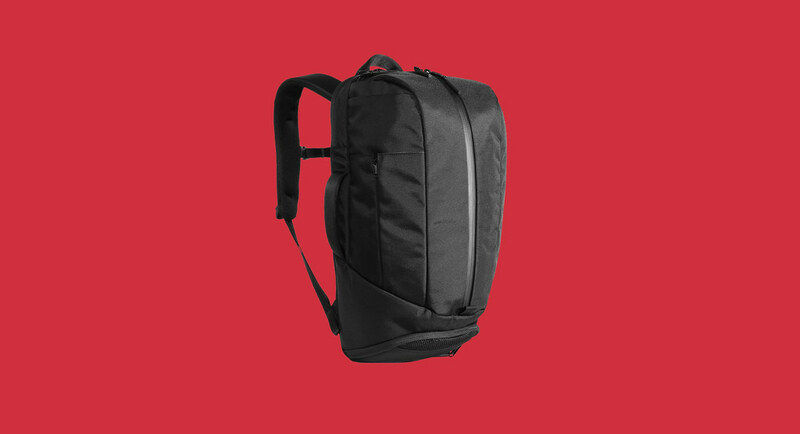 The RiutBag X25 is available for purchase by heading here. We guarantee that if you buy Atmos' fantastic digital decorating kit, your house will be known as the 'cool' house of your neighbourhood. We experienced this firsthand during Halloween. With this kit, we were able to project a bunch of ravage zombies clawing at our front window, which caused a stir. 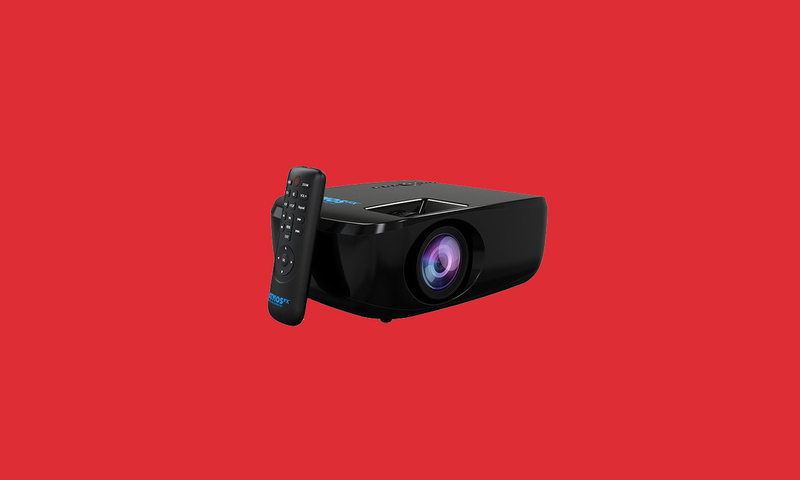 The kit features a projector (with stand), projection material, and an SD card loaded with 14 pre-loaded scenes (including a bunch of Christmas ones). This is a lot of fun. The AtmosFX Digital Decorating Kit is available for purchase by heading here. You know that smartphone you have? The one that does all the things you need, but also probably takes up way too much of your time? Well, Punkt have the answer. It's called the MP01, and it's lovingly known as a 'dumb phone'. It makes calls and sends texts, but that's it. No email, no video chat, no Twitter. Just calls and texts like the good old days. The design extends the functionality, with a sleek and understated vibe, and the build quality is strong. And guess what? The battery doesn't die after a few hours. You need this. 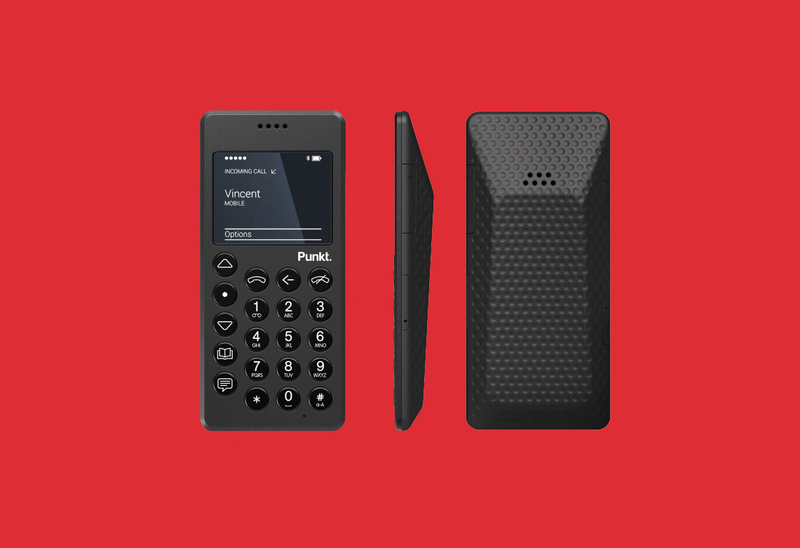 The Punkt MP01 Mobile Phone is available for purchase by heading here. 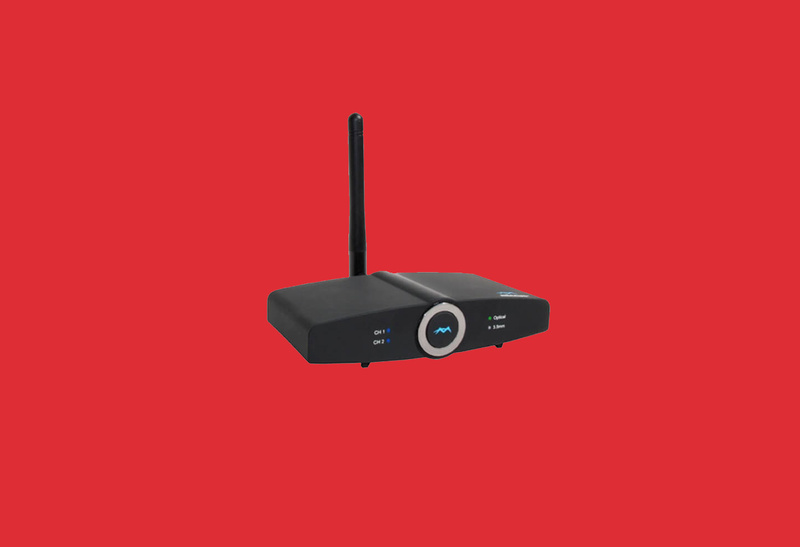 The Miccus Home RTX 2.0 is a long range, dual link bluetooth transmitter and receiver, which allows you to pair two devices at once. The key thing for ne is the distance. I can connect this to my TV, pair it with my headphones, and walk to the end of my garden before the signal dies. That's pretty damn impressive. If you're looking for a way to kill dead spots in your house, then you need this. The Home RTX 2.0 is available for purchase by heading here. They're super comfortable, the sole detaches, the minimalist look is spot on, and they somehow don't make your feet sweat: the Mahabis Classics are the best slippers you can buy right now, and if you're somehow not a fan of slippers, we guarantee these pockets of heaven will change your mind. Treat yourself this Christmas. 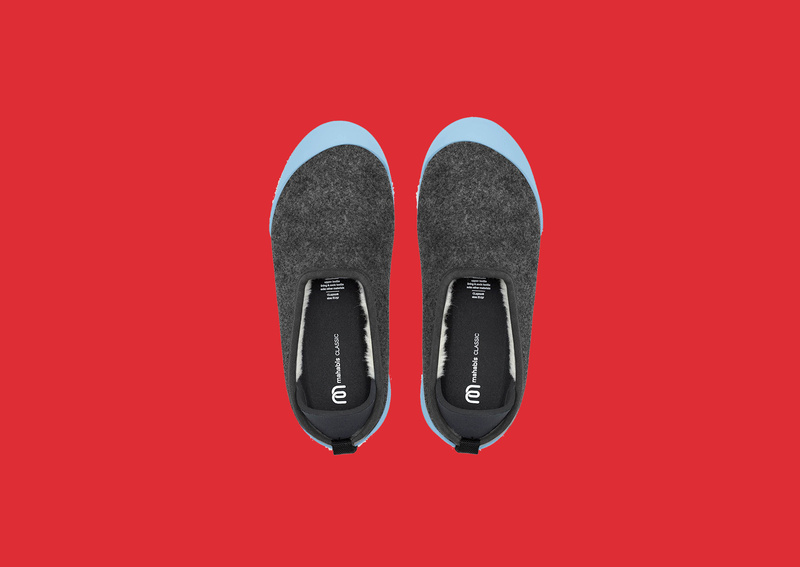 The Mahabis Classic Slippers are available for purchase by heading here. I have approximately five battery powerbanks, and while they're all great and have been super helpful over the years, I often forget to pack them when I'm going out. And hell, sometimes I don't want to pack them because they're so damn heavy. That's where the TravelCard charger comes into play. It's not gonna charge your phone five times over - it's only a 1500 mAh battery - but it will fit in your wallet/pocket with ease. This means the only thing you have to remember is to charge it up. The TravelCard Charger is available for purchase by heading here. The Tuck by PocketChange Designs is billed as the 'Ultimate Comfort Companion', and we're totally cool with that. You can use it as a clock, a pillow, a blanket, and a million more variations. It's so damn soft. That's the main thing, isn't it? You want products like this to be soft and to feel like you're being hugged by a million teddy bears. Great work, PocketChange. The Tuck is available for purchase by heading here. This is the ultimate carry-on bag as far as we're concerned. It's "designed to qualify as a maximum-size airline carry-on bag," and can be used as soft luggage, a duffel bag, and a backpack (courtesy of the zip-away straps). The thing that impressed us the most about the bag, outside of its build and design, is the number of items you can pack in it. They've managed to make the most out of the 'carry-on bag' guidelines, leaving us with one of the most impressive bags you can spend your money on. 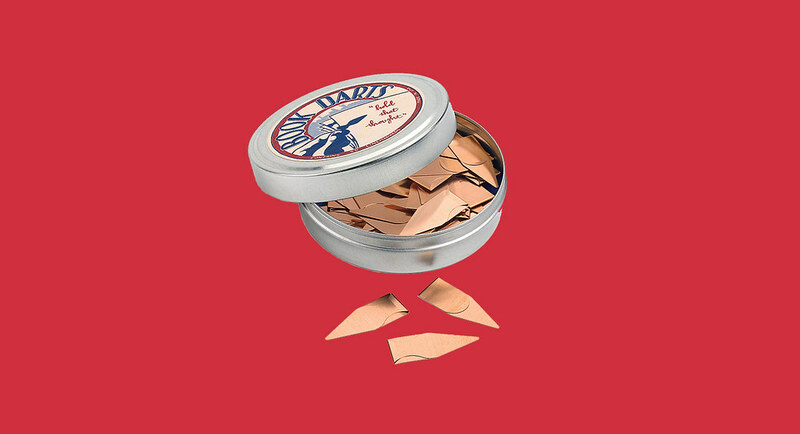 We'd also like to give a special shout-out to the packaging too. The attentional to detail really makes the difference. The Aeronaut 45 is available for purchase by heading here. The Lifepack by Solgaard does everything. 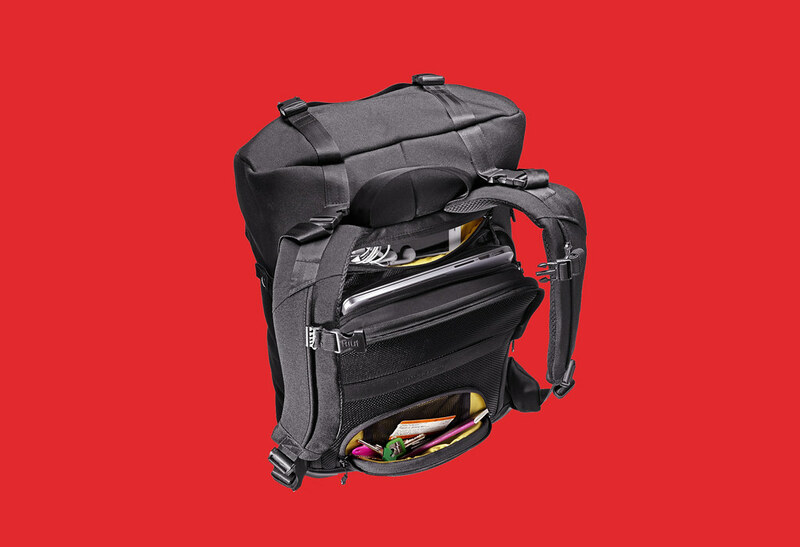 Oustide of the standard bag features you'd epxect - laptop storage, plenty of organisational space etc - the Lifepack manages to have a kaziliion extra features. Let's list a few of them: a bottle opener, a clever water bottle storage compartment, 4 hidden pockets, a rain cover (it's awesome), two main sections (Lifezone/Workzone), a retractable lock to keep your valuables safe, and solar power (Yes, solar power). The Solarbank features two USB charging ports, which could charge your phone 6 times over (if at 100%). It also doubles up as an impressive bluetooth speaker (or AUX), which can last up to 96 hours on full power. This bag does it all, all whilst looking really great. The Lifepack is available for purchase by heading here. Bicycle helmets are super important, but why are they so damn ugly? I know that's not the point, but why can't both we have the best of both? Thankfully Thousand have addressed this with their helmet range, which is equal parts stylish and safe. We're huge fans of its vintage, yet forward-thinking design, which has to be experienced. We love the PopLock, which allows you to lock your helmet to your bike. The company also produces gloves, bags and apparel - the latter of which being a particularly strong point. The Club Pennant sweater, for example, is a dream to wear, looks great, and has a rear-zipped pocket to hold your valuables. A company to keep your eye on, for sure. 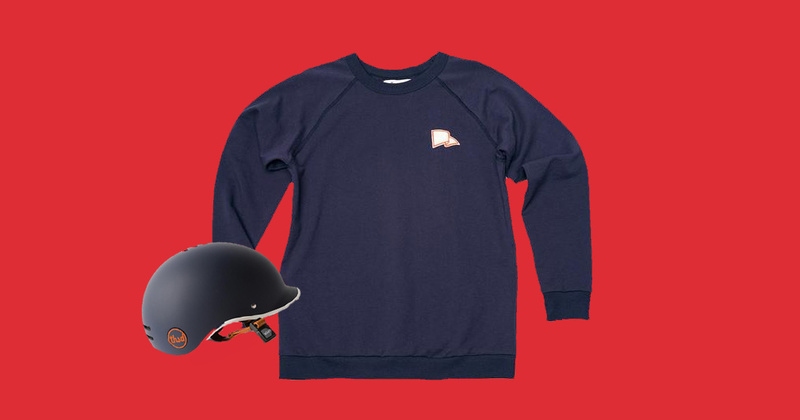 The Thousand Heritage Helmet and Club Pennant Sweatshirt is available for purchase by heading here. Have you ever wondered what life was like before all the distractions? Or just wished your willpower was a bit stronger? Then the kSafe by Kitchen Safe is for you. 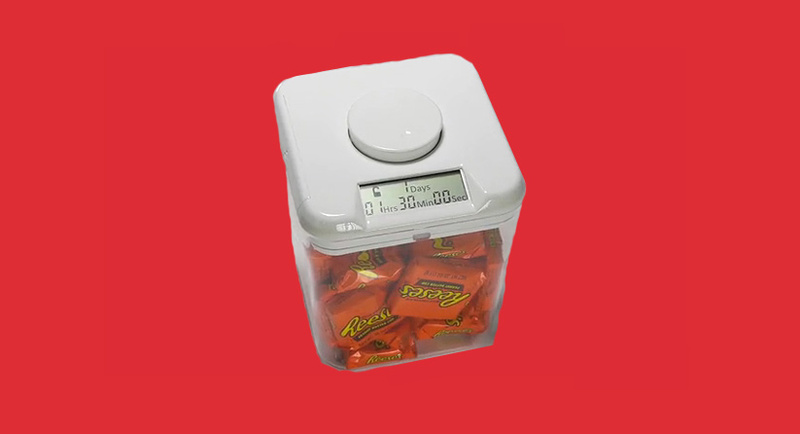 It's a safe on a timer. You put something in it - a phone for example - set the timer (anywhere from one minute to ten days) and that's it. There's no override, which means that you'd have to smash the thing apart to retrieve your items. Got a bunch of deadlines but find yourself checking your phone every 5 minutes? Throw your phone in and set a timer. Is someone in your house stealing all of your cookies? Throw them in there too (the cookies, not the person). I have a pretty terrible attention span, so putting my phone in it at night has really helped me focus. The kSafe is available for purchase by heading here. There are things that taste like Christmas: sprouts, mince pies, mulled wine, cranberry sauce. I guess more specifically vanilla, cinnamon, those little oranges studded with cloves bobbing around in warm red booze. 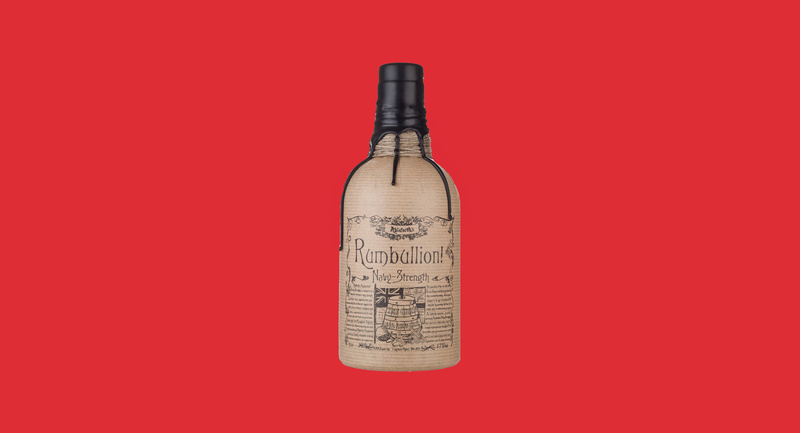 Well, Rumbullion doesn’t taste like sprouts but it does a good job of wrapping up the rest of Christmas into a 43% punch. It’s an exceptionally dark rum that tastes similar to Sailor Jerry’s before they changed the recipe, but stronger. Drink responsibly until you’re not, and definitely leave a glass out for Santa. Rumbullion! is available for purchase by heading here. One of the best things about trying a new whisky is the anticipation before you open the bottle. The expectation heightens your senses: the colour, smell, the way that the alcohol grips the glass… With this advent calendar, you are giving the whisky drinker in your life that gift twenty-four times. A surefire way to make December a great month. The Whisky Advent Calendar is available for purchase by heading here. As someone that hates the responsibility of taking photos, I love the idea of attaching the iON SnapCam Lite to my top, and pressing a button on it whenever the mood strikes. Throw in 720p video recording at 30ps, and you've got yourself a cool little gadget that will help you capture those moments that you often miss out on. 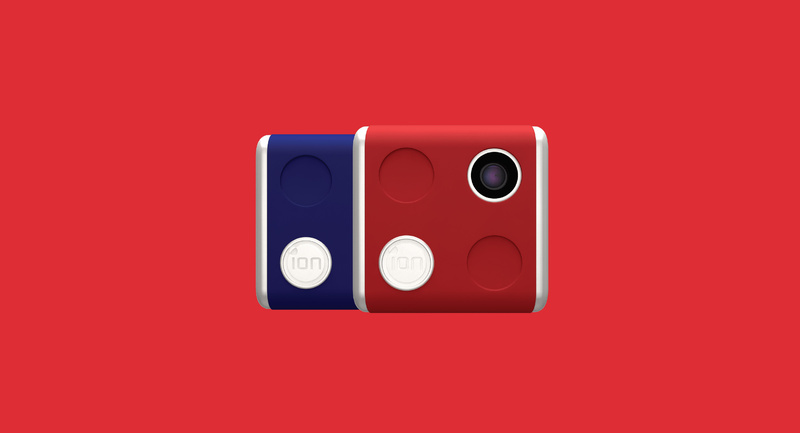 The iON SnapCam Lite is available for purchase by heading here. Peg And Awl is a Philadephia-based company created by Margaux and Walter Kent. They make beautiful products by hand, and I want them to win. I'd like everyone to head over to their site and buy all of their products because they're good people making fantastic products. 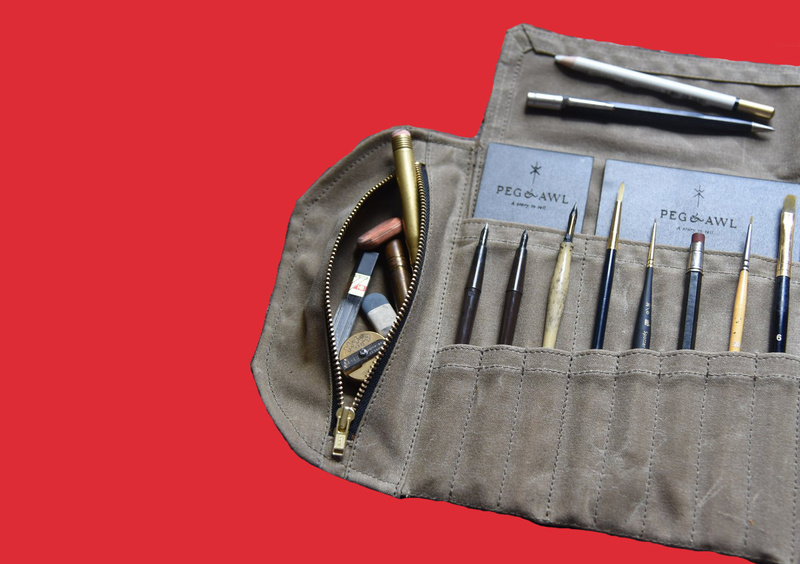 Specifically, I'd like you to go out and buy the superb Sendak Artist Roll, which is designed to carry all your tools wherever you go. I love the idea of it being a collaborative item that you could open up on a table, with other artists helping themselves to whatever you packed. A truly lovely product. The Sendak Artist Roll is available for purchase by heading here. 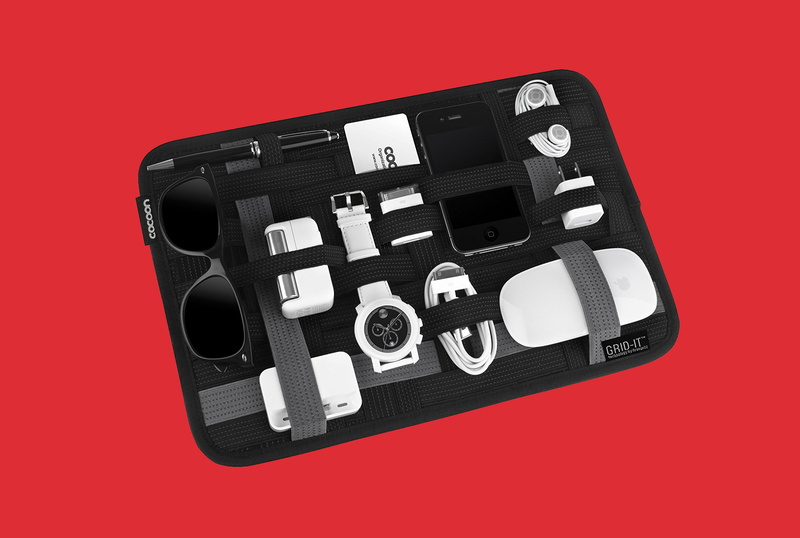 The GRID-IT - created by Cocoon - is an organization system that keeps all your valuables safely and firmly in place. It does this via its unique weave of rubberised elastic, which also means it won't damage your goods. I love the fact that I can secure all of my work items to it, and just slide it into my laptop bag. As someone that works remotely, often jumping from coffee shop to coffee shop, it's like bringing your desk with you wherever you go. The GRID-IT is available for purchase by heading here. Bond Travel Gear - founded by Chris Elfering - is a company looking to "provide rugged gear that blends easily into any environment, keeping the owner organized and protected on the road." 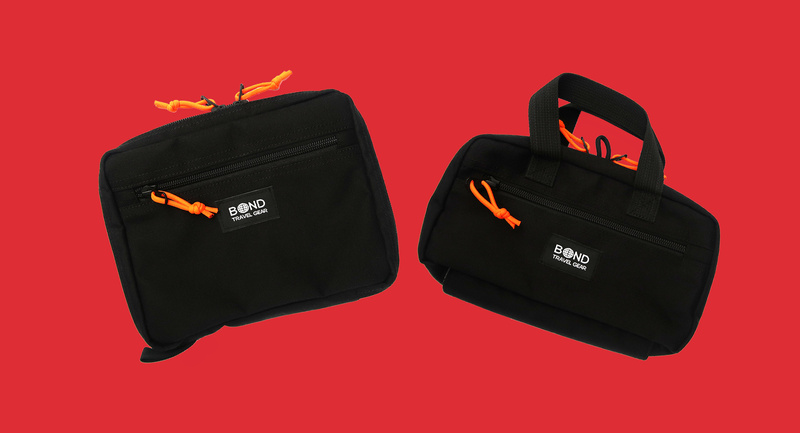 This comes in the form of the DASH Dopp Kit and ESCAPADE Small Gear Pouch. The former is an incredibly tough kit bag that features double-stitched zippers and stress points, plus auto-lock zippers. Despite its size, it holds a surprising amount. The ESCAPADE could be seen a slightly smaller version of the DASH, yet it still manages to hold a serious amount of gear. In the promo video, the focus is put on travel, with the pouch holding a passport, Kindle, chapstick, pen, earplugs, sleep mask, phone, two chargers, headphones, a wallet, and some snacks. They're not lying, either. The DASH Dopp Kit and ESCAPADE Gear Pouch is available for purchase by heading here. As someone that goes through wallets every 18 months, the ION Wallet by Pioneer is a godsend. It's waterproof, and thanks to the ultra high molecular weight polyethylene, it's ten times stronger than steel per weight. Add that to the bar tack stitching, and you have a wallet that you'll treasure for years to come. Oh, and did we mention it looks stunning? 'Wallet of the Year', hands down. 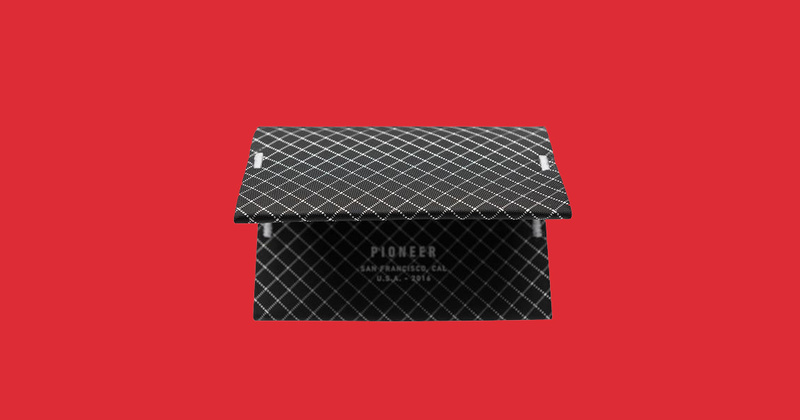 The Ion Wallet by Pioneer is available for purchase by heading here. 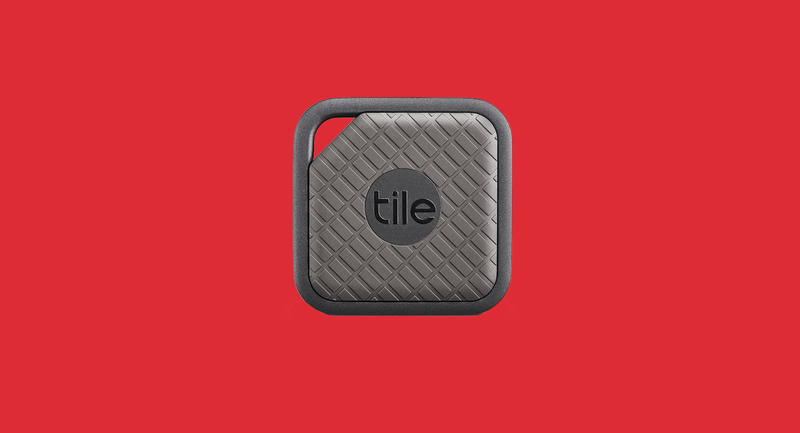 The most recent product in Tile's ever-expanding portfolio is the Tile Sport - a waterproof tracker that features an impressive 200ft range, increased volume from the standard range, and a super tough exterior. There's a reason why Tile is the leader in bluetooth trackers. The Tile Sport is available for purchase by heading here. These headphones combine certiﬁed wood and recyclable aluminium housings, 8 hours of playtime, and a neckband to keep everything in place. For the price, you'd be hard-pushed to find a better bluetooth headset. The brand's approach to recycling also needs to praised. The House of Marley Smile Jamaica Wireless headphones are available for purchase by heading here. Looking for a pen that also works as an icebreaker? The Align Pen by Beyond Object is the answer. 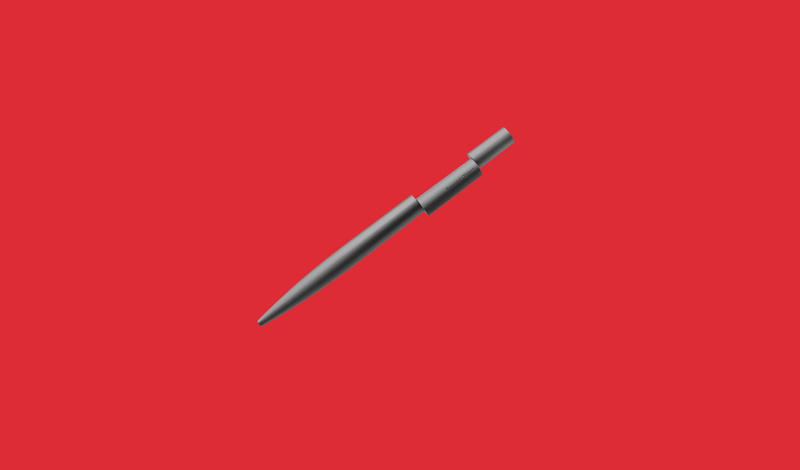 The setup is simple: the pen is trying to align itself. It wants you to twist it into shape. And once you do, you get to experience an incredibly smooth pen made out of aluminium. Style and substance? Absolutely. 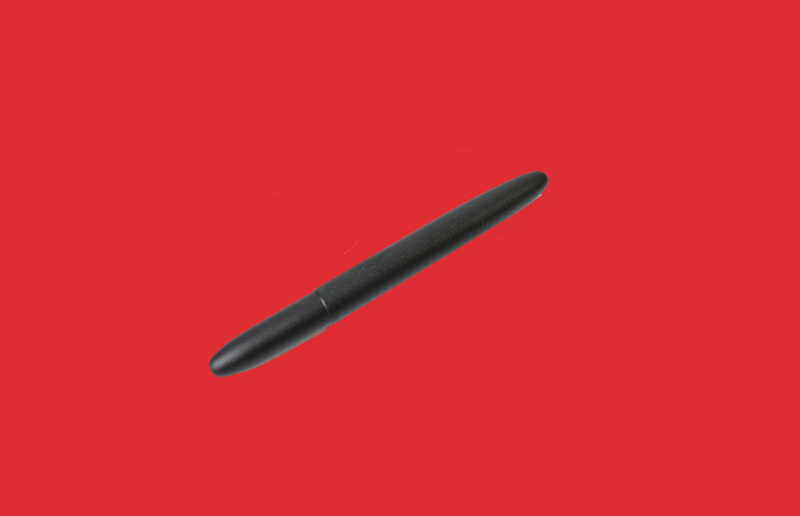 The Align Pen is available for purchase by heading here. Portland-based Alpine Division was founded to "bridge the divide between urban and outdoor." And they nailed it. Firstly, their logo is perfect. We couldn't not mention that. And second, the two bags they sent over for us to test - the Nuzzi Skate Backpack and Timberline II - are beautiful. The Nuzzi Skate Backpack is a collaboration with pro skateboarder Spencer Nuzzi, so expect durability and straps for your skateboard. The Timberline II is more of an all-purpose bag - with storage coming out of the yazoo. Both bags are prime examples of a company that you need to invest in. 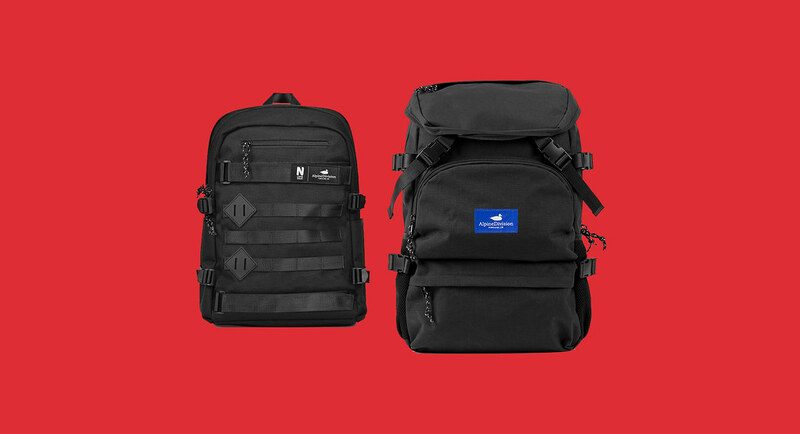 The Nuzzi Skate Backpack and Timberline II are available for purchase by heading here. 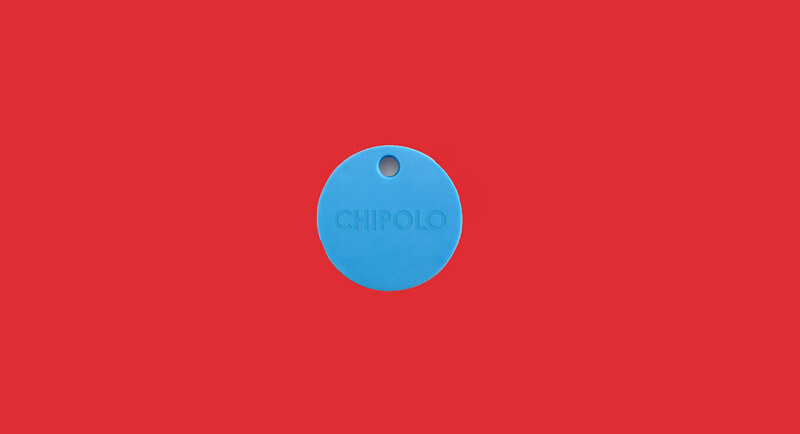 The Chipolo PLUS is a bluetooth tracker that uses your smartphone that tracks your belongings. You know the deal by now, but with a 1-year battery life, water resistancy, and a 100 dB sound level, this stylish tracker is one of the best you can buy. Thoroughly recommended. The Chipolo Plus is available for purchase by heading here. 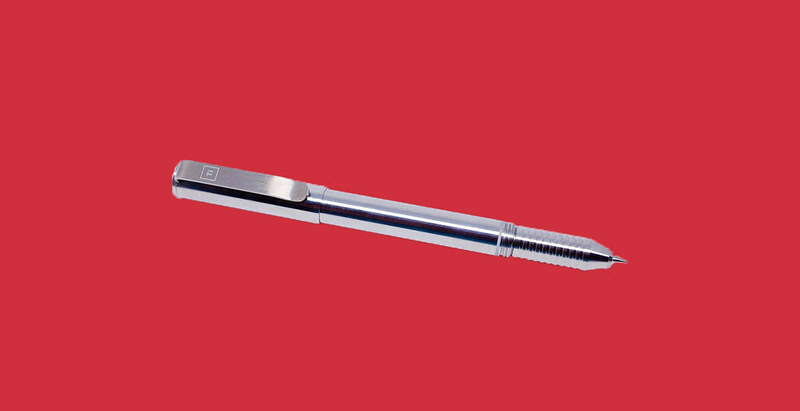 The Fisher Space pen was created in 1966 by the legendary Paul Fisher to combat the rigourous nature of space travel. And in 1967, after 18 months of testing by NASA, it was selected for use by astronauts. It writes at -30 degrees F (-34 degrees C) to +250 degrees F (121 degrees C), underwater, and at any angle. And 50 years later, it's still the greatest pen ever designed. The Fisher Bullet Space Pen is available for purchase by heading here. The original travel neck pillows were those horrendous things that you had to blow up yourself. They were terrible. And they very rarely did what they were set out to do. 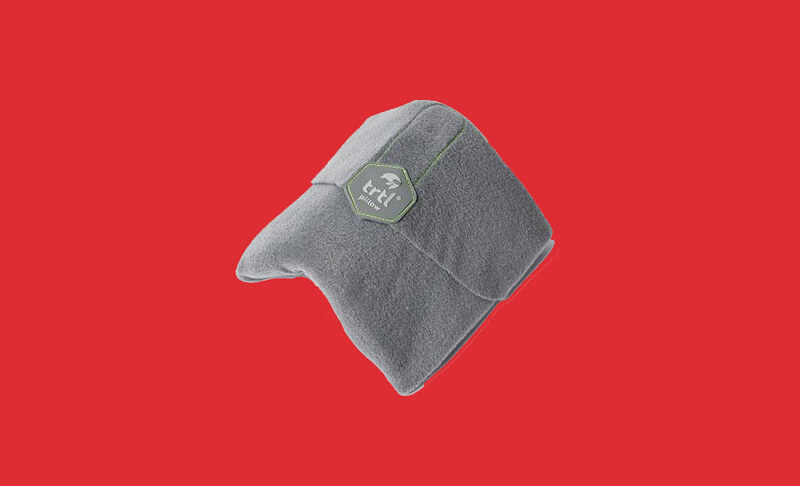 The second wave of those neck pillows were the cushioned, non-air versions. They were certainly a step up from the air versions, but what you gained in comfortability, you lost in portability. That's what the Trtl Travel Pillow has addressed. It's sort of like a super comfortable neck brace that actually manages to support your head/neck while managing to be incredibly portable. Perfect. 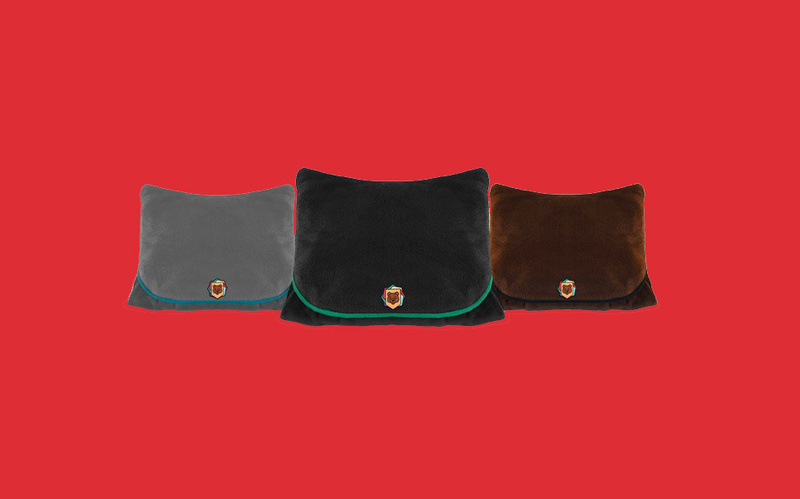 The Trtl Travel Pillow is available for purchase by heading here. As much as I love this mirror, I also really hate it. But let me start with the specs first though: It features a tru-lux light system, which simulates natural sunlight; an adjustable colour temperature, which is capable of over 50,000 colour variations; 5x and 10x magnification; WiFi connectivity; and a sensor that detects when you're in front of it, which then turns on the lights. Combine all of these features and you have the best mirror money can buy. However, it's so good that you'll spend hours looking at yourself, wondering where it all went wrong. How did I get so ugly? Was I always this ugly? I really need to start moisturising. The simplehuman sensor mirror pro is available for purchase by heading here. Water is essential in so many ways, but did you know that some people just hate the taste of it? That's why The Right Cup was invented. 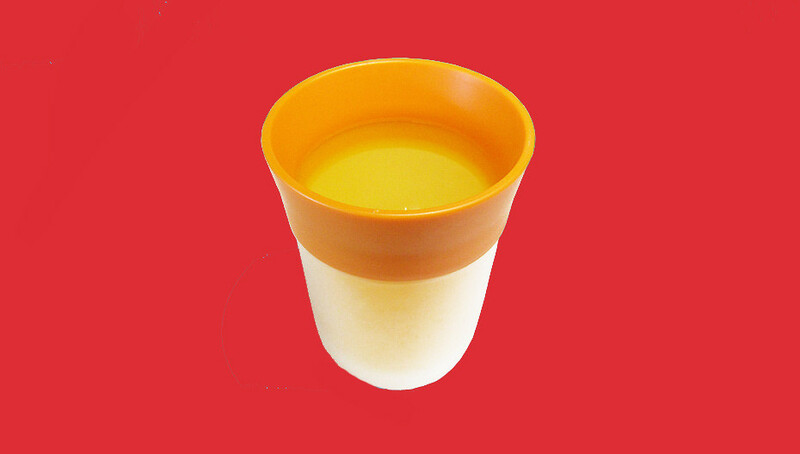 It's a fruit-flavored cup that attempts to trick you into thinking that the flavour is tasted. It's actually works too. Sort of like you're drinking a relatively dilluted juice drink, which is certainly enough to do the job. The Right Cup is available for purchase by heading here. The Ti Arto can accept over 200+ different refills without having to botch together some sort of modification. Seriously, over 200. That's insane. Outside of that, you have yourself a classic-looking titanium pen that feels solid and will probably last you a lifetime (assuming you don't lend it to a friend). Stop buying those throaway pens and invest in the Ti Arto. The Ti Arto is available for purchase by heading here. 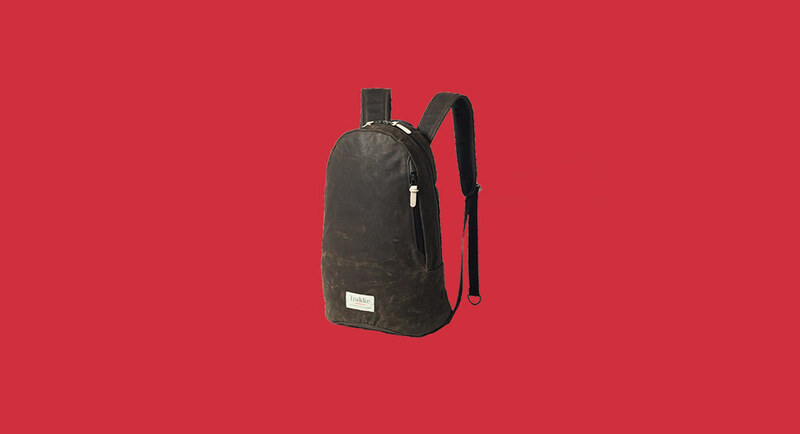 The Fingal backpack is a waxed canvas daypack featuring a main compartment built to fit a 13” Macbook, plus a zip-access pocket for your essential items. The quality and look of this bag is wonderful, and unlike anything else we've tested this year. 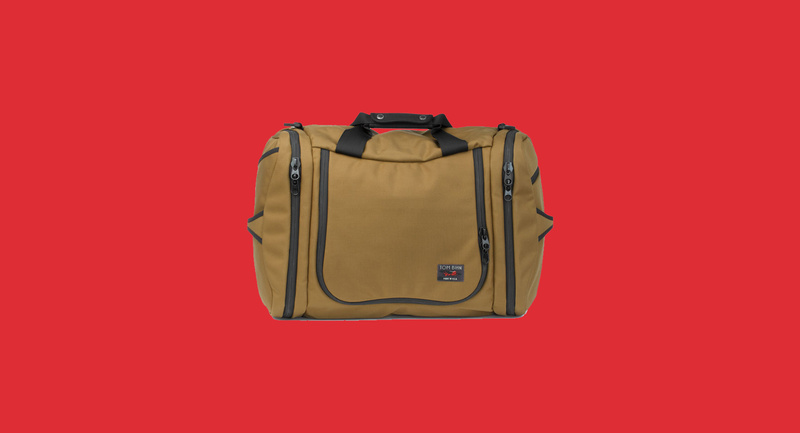 It's equal parts luxury and rugged, making it a great all-around bag. It's so good, it ended up becoming one of of Tutora's best backpacks of 2017. The Fingal is available for purchase by heading here. The Braven 405 is a portable, waterproof (certified IPX7 waterproof rating resists up to 1m of water for up to 30 minutes) speaker that features a strong kickstand, and a built-in charger for your mobile devices. For its size, it sure as hell packs a gigantic punch. If you're looking for a speaker that you can throw around and take with you wherever you go, this is a pretty great candidate. Also, it's called '405'. The stars have aligned. 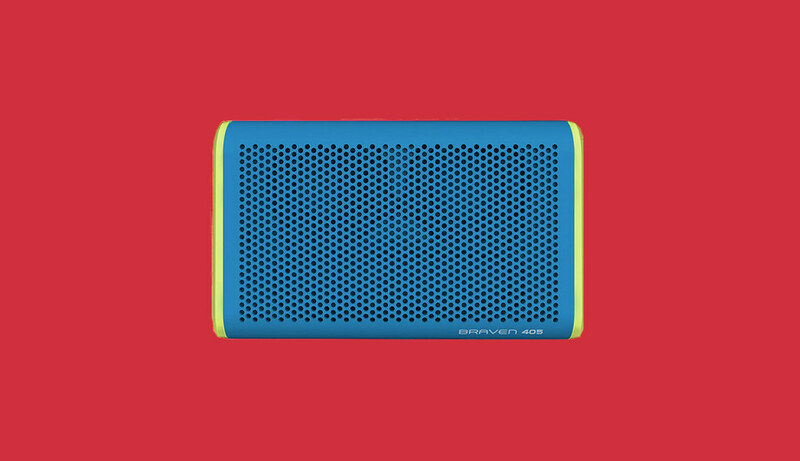 The Braven 405 is available for purchase by heading here. I can confidently get through a day without charging my phone, but nobody likes me, so I very rarely use it (other than checking my emails when I'm out or listening to music). However, a great deal of you reading this have a social life, so I'm assuming by the end of the day you panic trying to find a power source. That's why the Griffin Reserve Power Bank is a must-buy. 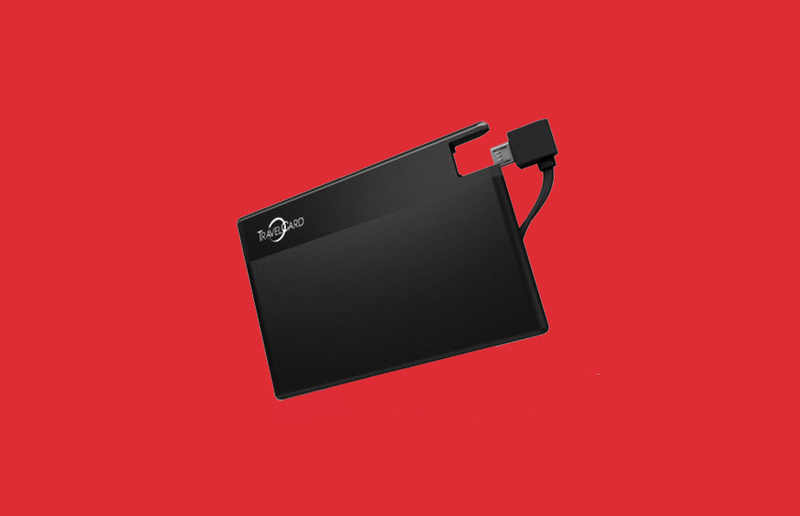 Featuring a whopping 18,200 mAh, and two USB ports, you could charge your smartphone over 7 times, and a large tablet up to 2.5 times. Throw in a pretty quick charge time for the battery itself, and you have no excuse to be hitting 2%. 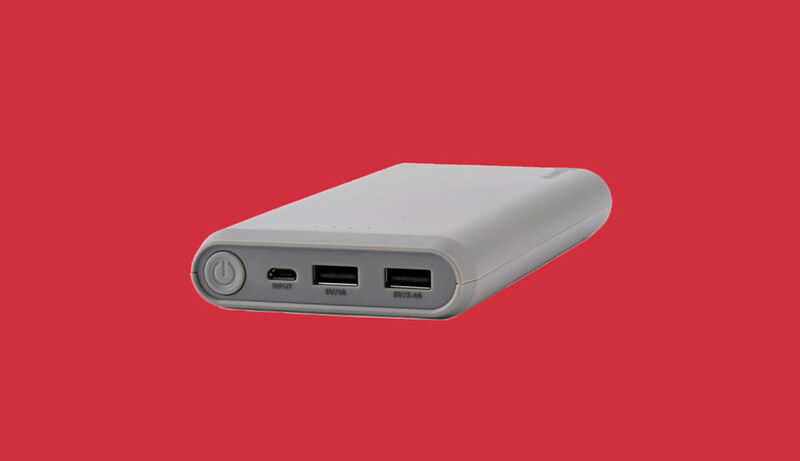 The Griffin Reserve Power Bank is available for purchase by heading here. Millican craft incredible products in a farm at the Foot of Skiddaw in the English Lake District National Park. Radiohead make incredible music. You combine the two, and you have yourself a pretty great collaboration. It comes from Millican's Blank Canvas Projects series, which puts the focus on people doing good in the world. 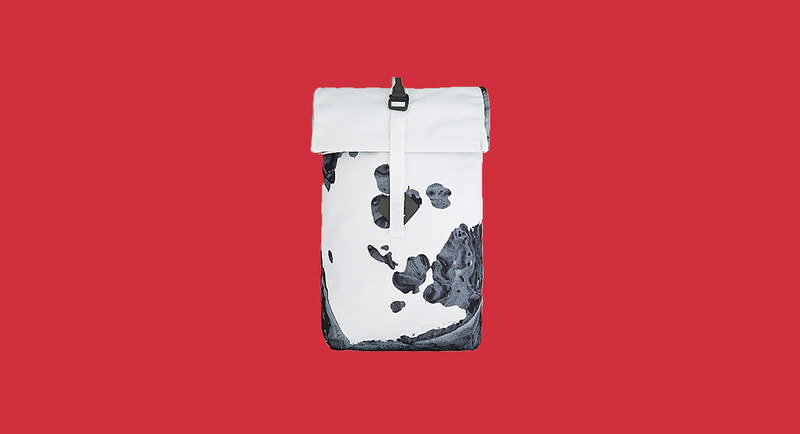 The limited edition roll pack is made from 40 recycled plastic bottles and was released during Radiohead’s 2017 Spring Tour in support of A Moon Shaped Pool. If you're looking for a striking yet functional bag, we suggest checking this one out. The Radiohead x Millican Roll Pack is available for purchase by heading here. Book Darts are so good, that we guarantee that you'll never use another bookmark, or bend a corner of a page again. Though why you would bend a corner is beyond me. These tiny, beautiful creations are precision-cut, paper-thin metal line markers that work like a traditional bookmark (just thinner), or as makers to remember your favourite passages from a book. Such a brilliant idea. Book Darts are available for purchase by heading here. The Duffel Pack 2 by Aer is billed as a "hybrid backpack for the gym and office" - with seperate compartments for each respective activity. It features a front-loaded main compartment, a ventilated shoe compartment, a padded laptop pocket, an expandable warer bottle pocket, and a quick-access top pocket for all your valuables. Yet considering just how many parts are involved, it never feels cluttered; this extends to the minimalist design, which we're huge fans of. Highly recommended. The Aer Duffel Pack 2 is available for purchase by heading here. Twelve South has been designing accessories for Apple products since 2009, though it feels like they took their vision to a whole new level this year. 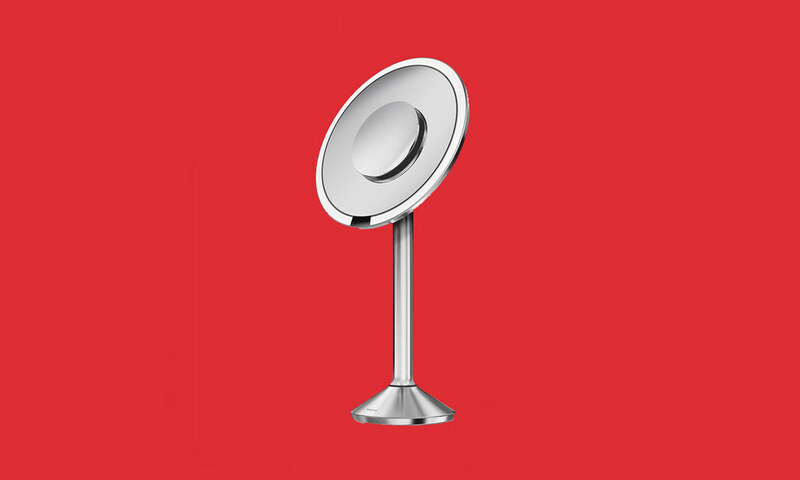 Firstly, we'd like to point you in the direction of the Fermata Headphone Charging Stand, which pretty much does exactly what you'd expect it do: charge your headphones. It's a simple concept, but the build quality and design is superb, and really helps declutter your desk. Secondly, and just as important, we have the much-hyped Inspire [mac candle N°2], which you no doubt came across earlier in the year. It's the follow-up to the candle that supposedly smelt like a new Mac. This time around, the smell is inspired by 'great ideas'. Obviously, there's no way to verify that, but it does smell nice. We'll give them that. 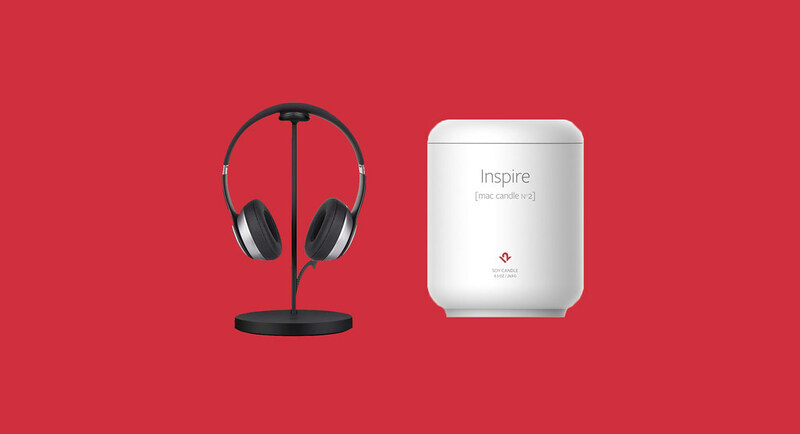 The Inspire Mac Candle and Fermata Headphone Charging Stand is available for purchase by heading here. The Sierra Raglan Sweatshirt by Jungmaven is 100% the most comfortable sweatshirt I've ever experienced. Featuring a 55 hemp / 45 cotton blend, it feels like a dream, and looks stunning too. If you're looking for something to help you through the cold winter months ahead of us, we suggest laying down some money on this. If not, just jump on the Jungmaven website - we're certain you'll find something to fall in love with. 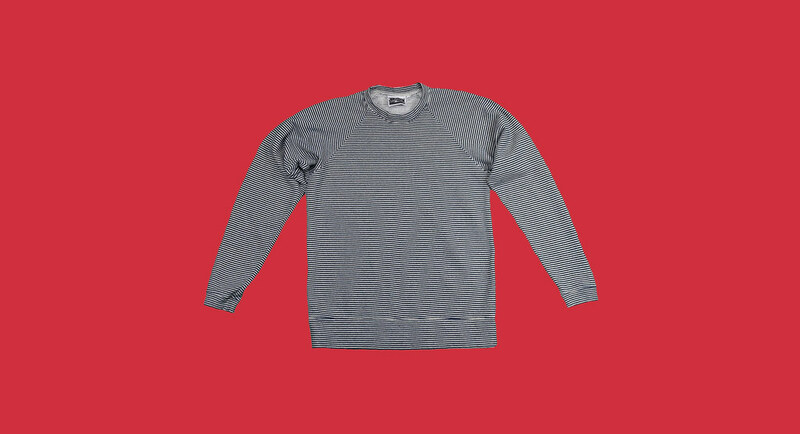 The Sierra Raglan Sweatshirt is available for purchase by heading here. You've got at least 24 tote bags lying around your house, haven't you? Hell, there's a good chance you've got a tote bag full of totes, right? Bin 'em. Well, don't bin them, give them to a friend, but you get where we're going with this. 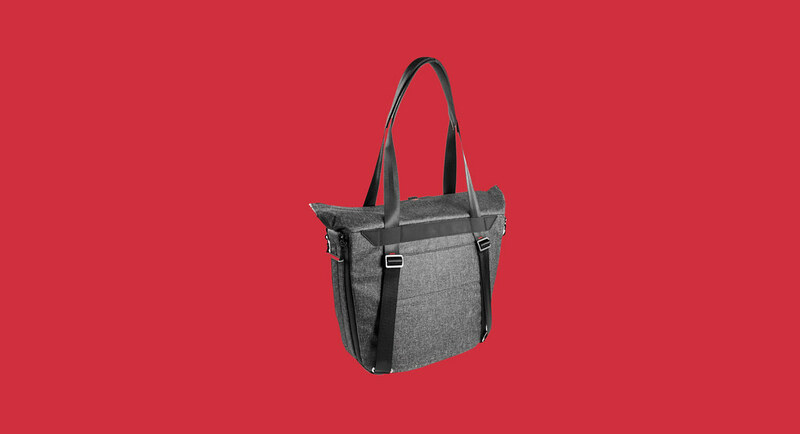 The Everyday Tote by Peak Design was created to be the only tote bag you'll ever need. The weatherproof 400D nylon canvas is lined with a high-density foam-padded cotton twill and features leather detailing. In terms of organisation, that's where this bag comes into its own. With all the removable dividers and pockets, as well as the handy laptop sleeve, you'll no longer struggle to find what you need in the sea of junk. And did we mention that it can be used as a backpack? Perfect. The Everyday Tote is available for purchase by heading here. Coffee and soda mixed together? That's gotta be pretty gross, right? Well, sorry to have to tell you this, but it's absolutely incredible. 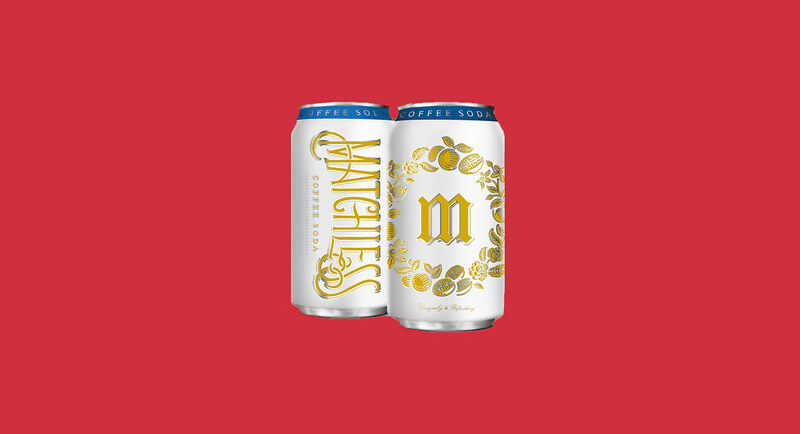 Following a successful Kickstarter campaign, Matchless Coffee Soda (in can form) is set for release in Spring of next year, so while this might be an odd choice for our gift guide, consider this a nudge to get on their newsletter. It'll give you a better chance of nabbing a batch when they're released. Matchless Coffee Soda is available for purchase by heading here. The Campaign Bag by Stuart & Lau was inspired "by the practical form and function of carpenter bags," and they've certainly nailed the concept. 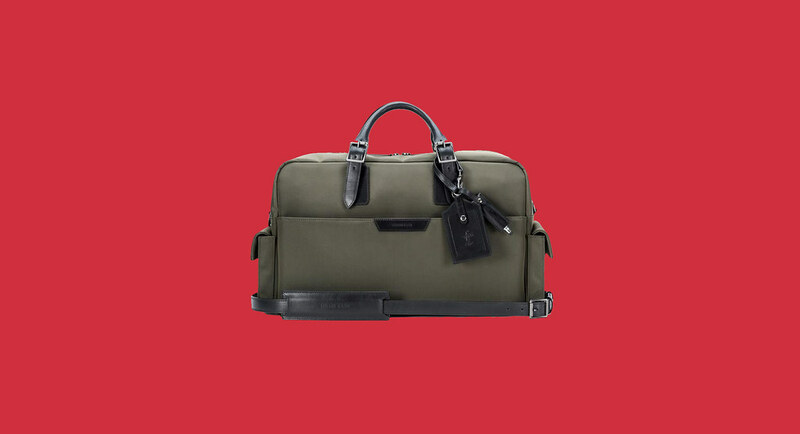 Featuring magnetically-secured side pockets and full-length compartments on both the front and back, as well as a padded laptop sleeve compartment, an umbrella holder, and a bunch of really handy pockets in the interior, the Campaign Bag is the flagship of a company that continues to push beautiful products out into the world. If you're looking for a multi-purpose carryall without any compromises, this is for you. The Campaign Bag is available for purchase by heading here. Disclaimer: all reviews were written by team 405.